• How long will I have to wear braces? • Will getting braces hurt? • Will I have to wear additional appliances to correct jaw problems while I have braces? • What can I eat when I have braces? • Are there certain things, like playing sports or playing an instrument, which I won’t be able to do? • How can I make sure my teeth stay clean and healthy while I have braces? • How often will I need to come in for appointments? • How much will my orthodontic treatment cost? The team at Kennell Orthodontics is here to answer all your questions and concerns, and we’re happy to explain all aspects of your treatment plan and expected outcome. Your orthodontic experience should be comfortable, hassle-free, and most importantly, leave you smiling! The dreaded cold and flu season is among us! After recovering from your cold, one of the most important steps you can take to avoid becoming reinfected is replacing your toothbrush! 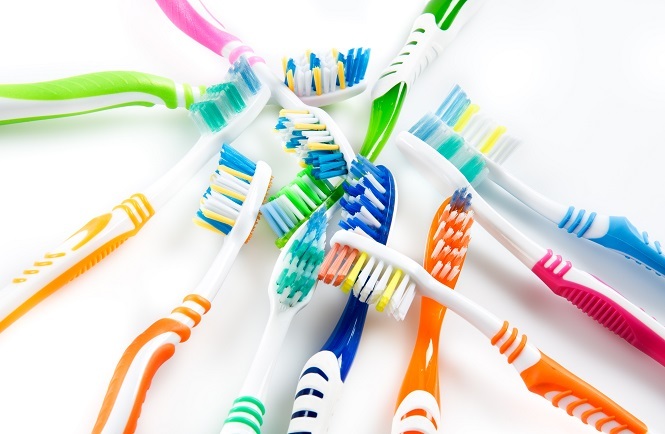 Germs can linger on the bristles, and you risk prolonging your sickness by continuing to use the same toothbrush. Be smart - keep a spare, just in case! Hope this tip helps! Feel free to give us a call or ask us on Facebook if you have any questions! It's back to school time, and that means school sports are up and coming, and that can lead to a greater chance of your kids damaging their precious mouths and pearly whites! If your kids play sports, it's important that you consult our office for special precautions, such as wearing a mouth guard. A protective mouth guard is advised for playing aggressive sports such as football, baseball, soccer, lacrosse, and others. Be sure, however, to avoid mouth guards that custom form to your teeth, as these will resist any tooth movements we are trying to achieve. In case of an accident involving the face, check your mouth and the appliances immediately. If teeth are loosened or the appliances damaged, please schedule an appointment with the office. And don’t forget to ask us about how you can get a mouth guard for yourself! 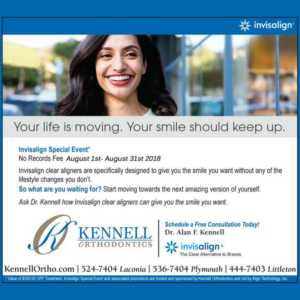 School Year Invisalign Promotion from August 1st- August 31st, 2018! Hurry in for our Invisalign Promotion! Has August got you thinking of school and homework yet? Well, to help out with some of the expenses that the school year can bring, we are offering a great deal to get your teeth sparkling for the new school year! In honor of school starting up for the new year we are running an Invisalign promotion - SAVE $350 off the records fee!! Make an appointment for a FREE consultation to see if you are an Invisalign candidate! Refer a friend for a chance to be entered into our referral contest! This great deal is only available from August 1st- August 31st, 2018! Don't miss your chance!! This seasons Cold and Flu epidemic has been featured more recently on local and National news. 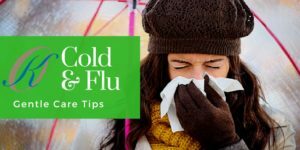 Here are some simple steps you can take to help yourself avoid colds and the flu this season. But if you do catch a cold or the flu, here are some suggestions on how to care for your dental health. If you have a cold or the flu, taking care of your body is your top priority—and that includes your mouth. According to the CDC, the flu virus can live on moist surfaces for 72 hours. Do not share your tooth brush! Read the label before you pick up a bag at the drug store with an eye to avoid ingredients like fructose or corn syrup. The longer you keep a sugary cough drop in your mouth, the more time cavity-causing bacteria has to feast on that sugar, which produces the acid that can leave holes in your teeth. One unfortunate side effect of a stomach flu, among other illnesses, is vomiting. You might be tempted to brush your teeth right away, some dentists say it’s actually better to wait. When you vomit, stomach acids are coming in contact with your teeth and coating them. If you brush too soon, you’re just rubbing that acid all over the hard outer shell of your teeth. When it comes to your mouth and your body, one beverage is always best. Water! Sometimes sports drinks might be recommended to replenish electrolytes when you’re sick, but drink them in moderation and don’t make them a habit after you’ve recovered because unless they are a sugar free version, they contain a lot of sugar. You might also want something to warm you up. Try a hot tea, but avoid sugar or lemon if you can. For more tips on good oral care: check out the ADA American Dental Society Mouth Healthy website.